We are located in Lisse, in the centre of de Bollenstreek, near Keukenhof, one of the world’s largest flower gardens. Gain greater insight into their operating processes. We specialise in the automation of greenhouses, bulb sheds and refrigerated storage units. Our SERCOM system consists of a standardised platform onto which various components can be connected as desired. Our software and hardware are designed side by side, providing a solid system. Reliability, solidity and a long service life are our products most important characteristics. A unique feature is the lightning protection which is a standard feature on all equipment. SERCOM believes in sustainable solutions for the horticultural industry. That also applies to the automation of irrigation units and climate control in greenhouses, bulb sheds and storage cells. We design and build clever electronics and computers for process automation. Our range on offer extends from simple voltage detectors to advanced process computers. SERCOM process computers are reliable and sound. 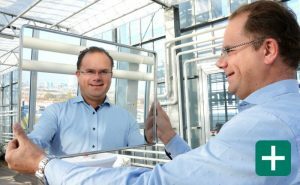 SERCOM puts sustainability into practice. Our products are characterised by a long lifespan. It is not unusual for a SERCOM process computer to still be working after over 30 years. Our innovative software is developed on an uniform platform. 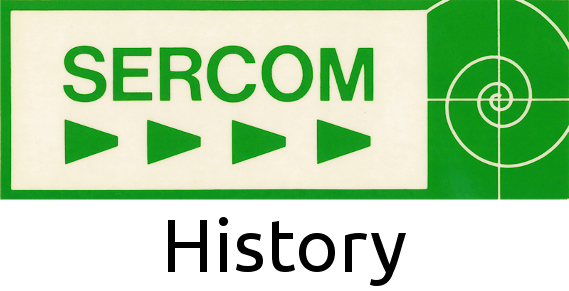 Each customer of SERCOM can thus profit from new updates, independent of the type of format of installation in the company. SERCOM is an international leader in cleverly designed regulation systems for irrigation. After the irrigation is optimized, further automation of the commercial processes often follows. Here, too, we can provide the best solutions. Around the world, from the tropics to the polar circle, we have satisfied users, our ambassadors. SERCOM is the only supplier in the horticulture industry that develops its own hardware as well as software, with the aim of safeguarding user-friendliness. We regularly offer new updates, from which our customers can benefit independently of the type of system in operation. SERCOM offers a sustainable, innovative and future-proof solution for all horticultural enterprises. 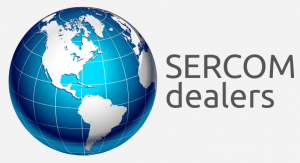 Additionally, SERCOM is represented in 22 countries for the replacement of all SERCOM parts. Our employees are familiar with the newest developments. This allows SERCOM to always produce the best solutions for both simple and complex automation challenges throughout the whole agricultural sector.